Not concerned about identity theft? How about cyberstalking Who Is Cyberstalking You? Who Is Cyberstalking You? In this generation of technology, "stalking" is a bit of a complicated term. It's so complicated that we had to add onto it, coming up with an entirely new one: cyberstalking. We've talked a bit... Read More ? Are you sure that no one is going through your garbage? How about your paper recycling? Sure, no one is parking beside your house and going through the bags, but what about after it’s picked up? Dumps aren’t renowned for their security. 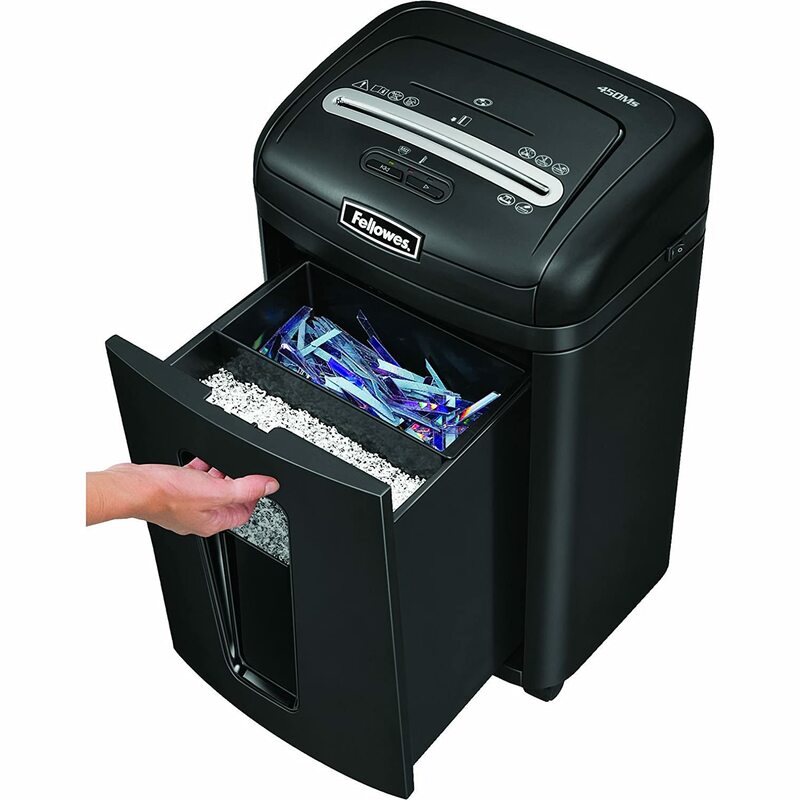 You should consider getting a paper shredder for your home office. Remember, it’s not just the papers that you throw out that can have sensitive information on them. What about CDs and DVDs? Or bank and reward cards? Cloning cards is really easy Fraudsters Still Clone Credit Cards: Keep Plastic In Your Pocket Fraudsters Still Clone Credit Cards: Keep Plastic In Your Pocket If you regularly pay by credit or debit/cheque card (and who doesn’t these days?) you should be aware that your card can be cloned. But how is this done, and what types of business are... Read More and happens frequently. Many shredders today will also take care of making those unreadable as well. But how do you know if the shredder you want is good enough to really protect you? Let me help you with that. 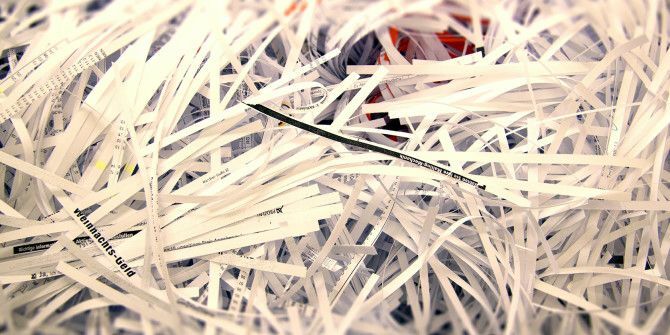 Several standards have been put in place to measure shredder security. The National Institute of Standards and Technology (NIST) has a specification for what they call media sanitization. Also, the National Security Agency (NSA) has its Evaluated Products List of shredders that meet their standards. Perhaps the most useful standard is from the Deutsches Institut für Normung (DIN) with their DIN 66399 standard. For the Good shredder, I looked for one that had a low price, as this would be the entry model for most people. It also had to have an acceptable security rating for shredding everyday documents like bills, bank statements, anything with more than your name and address on it. This shredder is for someone who doesn’t necessarily work for home, and just wants to take a proactive stance against identity theft. A long run time wasn’t considered important since this would be for infrequent use. What makes this shredder stand out is that it is perfectly capable, and affordable, for most people. With a P-3 rating, it’s going to sufficiently shred your personal documents. Add to that it’s capability to shred credit cards and DVDs and this is a workhorse that can work for you. It uses a cross-cut shredding method that achieves a better shred than standard strip cutting shredders. The ShredSafe feature should be comforting to people who might have little ones around their home office. It detects when any foreign objects try to enter and shuts the whole shredder down. The shredder is about the size of a large paper shopping bag, so that gives you an idea of how much it will hold. As the name suggests, it will shred up to 12 sheets of paper at once. The run-time for this shredder is about 5 minutes, with a 30 minute cool down time, which should be sufficient for the light home user. The ratings for this printer are consistently excellent, with a four-star rating from over 2,000 customer reviews. For the Better shredder, the security rating needed to be a bit higher as this is one that someone who works from home might use. You are going to shred your usual household documents, as well as documents related to your business or clients. With the higher security rating, you will sacrifice a bit of the shredding capacity. It is simply harder to cut smaller pieces. For less than $50 more, you can step up to this shredder with high security micro-cut feature that achieves a P-4 rating. 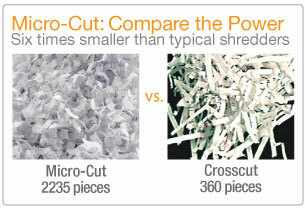 If you’re wondering what that looks like, take a look at the picture below that shows the difference between micro cut and cross cut. It is a bit bigger than the AmazonBasics shredder, however it would still fit easily into any home office. With a run time of 5 minutes and a 30 minute cool down time, and eight-sheets at a time maximum, this shredder might not have the capacity that you could get in other shredders at this price, but the ShredSafe and JamFree technology make up for it. 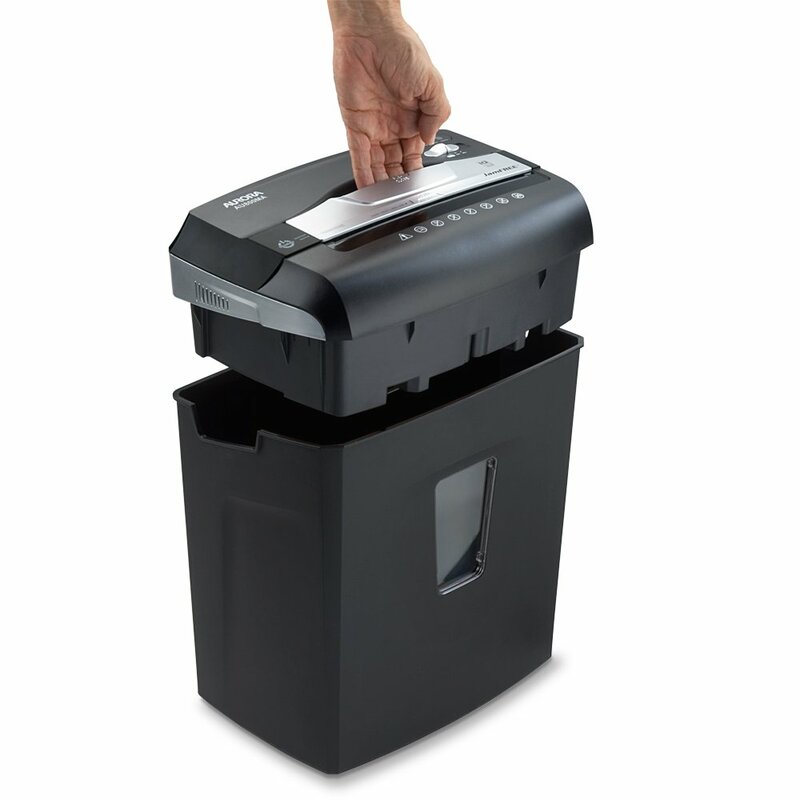 The JamFree technology ensures that you can not start shredding with too many documents. It stops you before you get the chance to jam it. At this time, this specific Aurora shredder doesn’t have a lot of ratings around the web, but the ones that I did find were pretty convincing. For example, “The shredder works even better than I thought it would, my sisters can’t break it (which was the problem with the other shredders) and my mom is happy because her documents get shredded into tiny pieces. 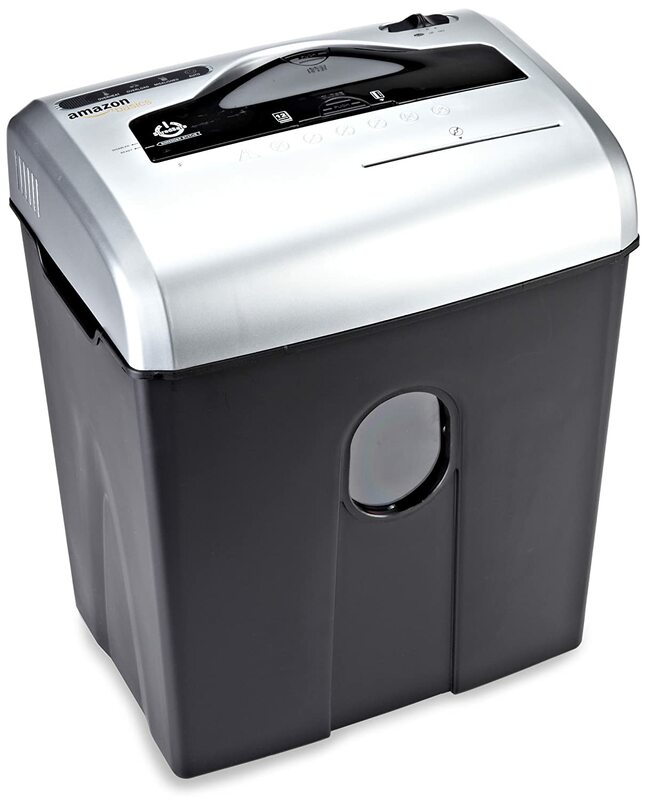 This shredder is great!” Other Aurora products receive positive reviews, as well. 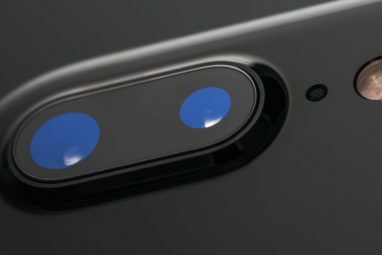 That suggests to me that the brand is reputable in general. For the Best shredder, an even higher security rating was sought. This was for people that might be dealing with other peoples medical records, tax forms, or investment information for example. This shredder would be suitable for a medical transcriptionist, accountant, or investment adviser who works from home. Again, there would be a higher volume of shredding to take into consideration as well, so it needs to be a somewhat larger model. A slightly longer run time than the AmazonBasics or the Aurora shredder was also sought. Yes, this shredder is considerably more expensive than the Aurora, however if you are dealing with sensitive documents this is the one for you. It’s heavy duty enough that you might even consider it for a small office. Like the other shredders it will destroy DVDs and credit cards as well, and is reported to go through staples and paperclips easily too. It’s shred size qualifies it as a DIN PIN-5 rating, which is the highest rating you can get for a printer at this price. Of course, shredding to a smaller size takes away from the speed and volume, however users report that it seldom, if ever, jams. It does have a longer run time at about 10 minutes, and a shorter cool-down time at about 15 minutes compared to the AmazonBasics and Aurora shredders. That makes up for a lot. Users also report that the shredder is so quiet, “…I can shred while my wife sleeps in the next room…” and they can shred, “…while my daughter is going to sleep without disturbing her!” This is due to Fellowes’ SilentShred technology. The Powershred also has advanced SafeSense security features that recognizes when fingers are too close to the slot and shuts it down, similar to the ShredSafe feature on the other two shredders. For the home office this is a must, where little ones are around. The Amazon rating on this unit is four-and-a-half stars from over 200 reviews, and Fellowes as a brand of shredders is consistently ranked amongst the best in the business. Based on the criteria I put together, the AmazonBasics 12-Sheet Shredder is a good shredder, the Aurora JamFree AU800MA is a better shredder, and the Fellowes Powershred 450MS is the best shredder for your home office. Of course, there is room for polite disagreement because exactly what you need may differ wildly from what I think you may need. Being proactive about identity theft and cyberstalking is far better than dealing with it after the fact, even though it might already be happening. If you’re not sure if someone is using your identity, here are some identity theft warning signs 6 Warning Signs Of Digital Identity Theft You Shouldn't Ignore 6 Warning Signs Of Digital Identity Theft You Shouldn't Ignore Identity theft isn't too rare of an occurrence these days, yet we often fall into the trap of thinking that it'll always happen to "someone else". Don't ignore the warning signs. Read More you should know about. Nonetheless, you’ve now learned something about the security of shredding, different technologies that are available, and three solid brands of shredders. Armed with this information, you can feel confident that when you do decide what shredder is right for you, it will, indeed, be the right one. If you’ve got a spectacular shredder at home, let everyone know about it! If you have a more specific need but aren’t sure where to start, go ahead and ask in the comments. Our readers and staff are extremely helpful. 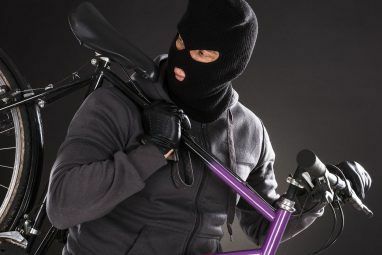 Explore more about: Home Security, Identity Theft. How to Change Which Facebook Friends Can See You OnlineWindows XP Running Your ATM Or Ticket Machine? Time To Buy Online! Jeremy, love it! Especially the, "Be sure to wear black." Step 1: Find a cast-iron drum, or metal bin. Step 3: Install over a fire pit, fireplace or wood stove. Step 4: Set up the makings of the fire in the base, but don't light. Step 5: Dip the documents in accelerant. The aim here is to ensure the combustion of all documents, but not to create danger when lighting the fire. Step 5: Add documents to bin (scrunch/drop vertically, such as to allow for air flow. Step 7: Light the fire. - Once the documents catch alight, the accelerant will aid in the speedy and complete conflagration. Step 8: Once the fire has burnt out, only ash should remain in the bin. Shake/stir the bin to let the ash filter into the fireplace. Step 9: To ensure recovery is impossible, scoop the ash into an urn, then release in a strong wind. Be sure to wear black. Glad to hear that Aibek and Mark. It was really interesting researching this article. Far more than I thought researching paper shredders would be! For truly super sensitive spy agent documents, it's recommended to run them through a P-7 rated shredder, then burn the shreds and dissipate them with water. Wow. I'm like Aibek too, was thinking about one but wasn't sure on what to look for, so this article was timely, it's time for me to move on from my archaic method of manual paper tearing.